Air Quality Systems markets filters for Commercial and Industrial HVAC equipment. The business is located on Preston Highway in Louisville Ky and when the buildings 2,500 sq ft flat roof was badly damaged by hail the owner called Exterior Pro Roofing. When crew leader from the commercial roofing company went to assess the job and take field measurements, he discovered that the existing roof was Duro Last. 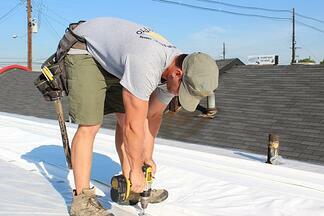 Duro Last is a PVC commercial roofing membrane installed on many buildings in Louisville Ky. Exterior Pro Roofing is one of the areas premier Duro Last Contractors. The Duro Last membrane is designed to lay over or re-cover existing flat roofs saving the expense, mess and building disruption from a tear off. Exterior Pro was able to install the new Duro Last roof on top of the old hail damaged roof. 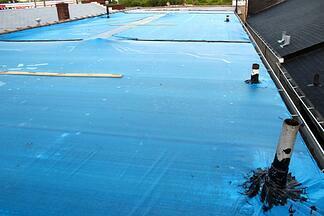 The new flat roof went down in a single day and Air Quality Systems didn't miss a beat. A third party inspector evaluated the roof and scored the install a 96. The warrany was issued and it was back to business for the HVAC filter supply house. 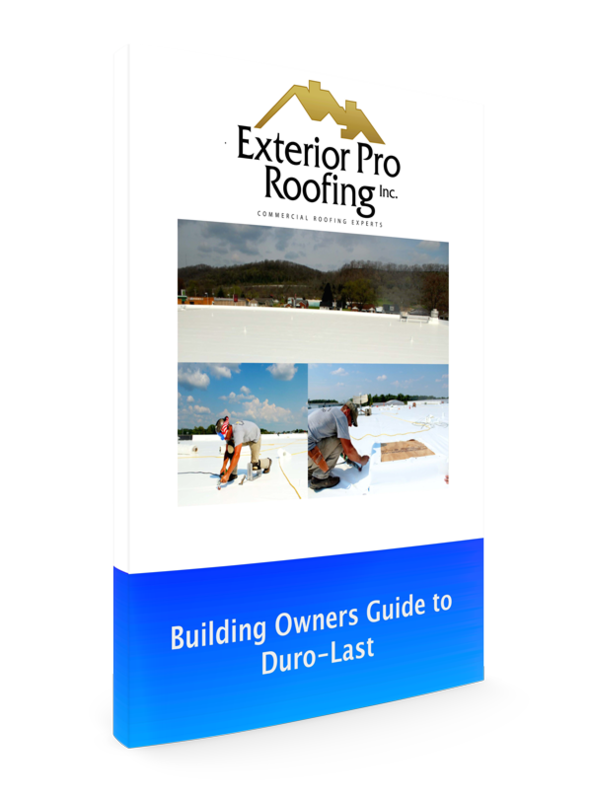 See how Duro Last can save on your costs of a new roof by doing a re-cover/layover.